To be supported by stable test equipment that is convenient to use and easy to read during complicated on-site system tests is a necessity for all engineers. 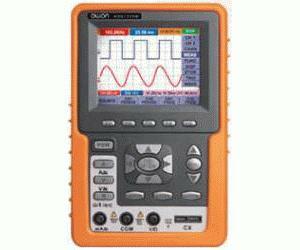 Our handheld digital storage oscilloscope, HDS2062M, is designed to meet this kind of requirement. The dual-channel oscilloscope with 60MHz bandwidth and 250MS/s sample rate doubles as a multimeter. With the HDS1022M you can be confident about meeting all your on-site troubleshooting requirements.